The Michiana Amateur Radio Club, Inc derives its name from the MICHigan- indIANA area it serves. It was established in 1947; it has been affiliated with the ARRL for almost 70 years, and is an ARRL Special Service Club. The Michiana Amateur Radio Club meets on the last Thursday of each month at 7:00 PM EST at the WNIT Public Television Studios in South Bend, Indiana. The Michiana Amateur Radio Club operates the W9AB Repeater in South Bend using the Frequency of 147.225 with a + Offset and a PL of 131.8. MARC is a General Interest Amateur Radio Club; we involve ourselves in Public Service and Emergency Service as the need arises. We offer Entry Level License Classes and have a group of Mentors that we refer to as" Elmers". Throughout the year we offer many Social Activities. If you want to get connected to the local Amateur Radio Community, MARC is the place to be. Amateur Radio (ham radio) is a popular hobby and service that brings people, electronics and communication together. People use ham radio to talk across town, around the world, or even into space, all without the Internet or cell phones. It's fun, social, educational, and can be a lifeline during times of need. Although Amateur Radio operators get involved for many reasons, they all have in common a basic knowledge of radio technology and operating principles, and pass an examination for the FCC license to operate on radio frequencies known as the "Amateur Bands." These bands are radio frequencies allocated by the Federal Communications Commission (FCC) for use by ham radio operators. You can communicate from the top of a mountain, your home or behind the wheel of your car, all without relying on the Internet or a cell phone network You can take radio wherever you go! In times of disaster, when regular communications channels fail, hams can swing into action assisting emergency communications efforts and working with public service agencies. You can even talk to astronauts aboard the International Space Station, talk to other hams through one of several satellites in space, or bounce signals off the moon and back to Earth! Some hams like to build and experiment with electronics. Computer hobbyists enjoy using Amateur Radio's digital communications opportunities. Others compete in "DX contests," where the object is to see how many hams in distant locations they can contact. 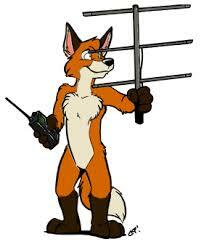 Before you can do anything, you need to get an Amateur Radio license from the Federal Communications Commission.